It seems like corrosion occurs everywhere – cars, buildings, boats, even the Statue of Liberty – and in many cases, the preferred solution is applying powder coatings. Companies like PPG and Lane Coatings have long been promoting their own proprietary powder-coating products, including more recent innovations that claim improved performance on sharp edges created during metal fabrication. If you're concerned about corrosion-fighting methods, here's a quick FAQ on corrosion and coatings. Are there different types of corrosion? Lane Coatings says several of the most common types are galvanic corrosion, stress corrosion, generalized and local corrosion and caustic agent corrosion. Galvanic corrosion, according to Lane, happens when the ions of two metals with contradictory properties cross paths along an electronically conductive path. The corrosion can form along any machine or structure that consists of parts made from more than one metal type. The Statue of Liberty was one of the most famous examples of galvanic corrosion. 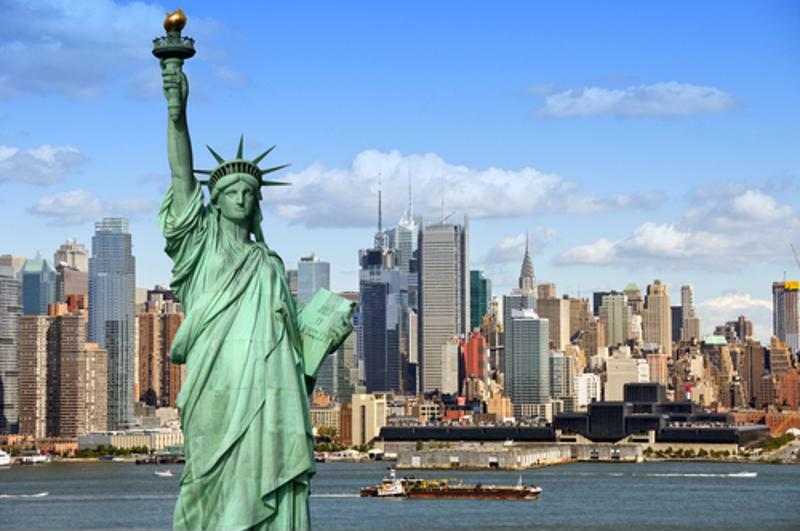 One of the best-known examples of galvanic corrosion was the Statue of Liberty, in which the exterior copper skin interacted with the wrought iron structural elements on the inside. Another more recent example was the corrosion found on the aluminum hull of the USS Independence, caused by the chemical reaction of the aluminum with the stainless steel of the jet propulsion system connected to the hull. Stress corrosion, another type, occurs when a crack forms in a metal panel or bar, eventually resulting in corrosion. In other cases, the corrosion may start first, and the crack follows later. Generalized corrosion is any type of corrosion caused by rust, regardless of whether two different metals are involved or a crack has formed. Examples include metal items exposed to the elements, like vehicles, sheds and outdoor fixtures. Localized corrosion can occur at a single, isolated spot on a metal surface, like inside a crevice, with no other signs of surrounding rust. And caustic agent corrosion can begin when metal comes into contact with particulates of caustic agents, like hydrogen sulfide on moisturized metal surfaces. How are new powder coating technologies different? PPG's latest product, Envirocron Extreme Protection Edge, is a one-coat technology formulated especially for sharp edges produced during metal fabrication. It features 20+ micron edge coverage, does not require a primer and eliminates the need for edge rounding or blasting. Envirocron is a new, environmentally friendly addition to PPG's world-class polyester powder coatings. Lane Coatings offers a comparable product, TGIC Polyester Powder Coating, which it says is "the most powerful treatment currently in use for metal components made to endure heavy weather on an ongoing basis." TGIC is ideal for all types of metal machines, fixtures and other outdoor structures, including everything from "gates, fences and guide rails to traffic signs, railings and bollards." In addition, Lane markets fusion-bonded epoxy powder coating, which helps prevent corrosion on pilings, sheeting and steel reinforcement layers. PPG offers epoxy powder coating as well, along with hybrid epoxy/polyester coatings. What are other uses of corrosion-resistant powder coating? PPG says automobiles, major appliances, motorcycle frames, heavy duty equipment, computer chassis, office equipment and vehicle parts are just a few of the products that can benefit from powder coating.